Two crew tops and four chair backs from the production of Tony Jorden’s 2007 British crime drama TV series Hustle. A sophisticated band of con artists fleeces the greedy and corrupt 'marks' they encounter in London. 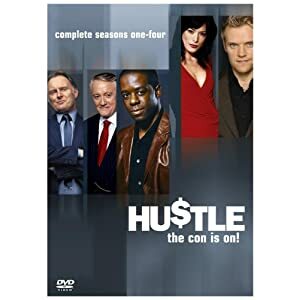 Initially, they are led by Mickey Stone (Adrian Lester), a master of very complicated 'long cons' whom the police acknowledge as being in a class of his own. When Mickey heads to Australia to set up a major job, he is replaced by his protege, Danny Blue (Marc Warren), an impetuous former pickpocket who unfortunately keeps forgetting to come up with a 'Plan B' in case a con goes awry. This piece consists of six parts. Four of them are the royal blue cotton chair backs with the Hustle logo stencilled on. 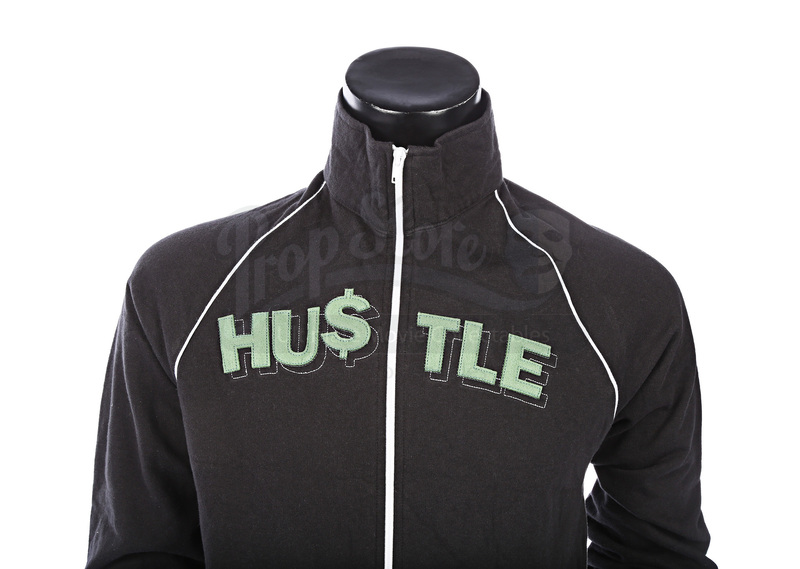 One is a black zip-up top by American Apparel in medium size, made of 100% combed cotton with the Hustle logo embroidered across the chest in green thread. The second crew top is a navy blue hoodie, 50% cotton and 50% polyester in a large size. 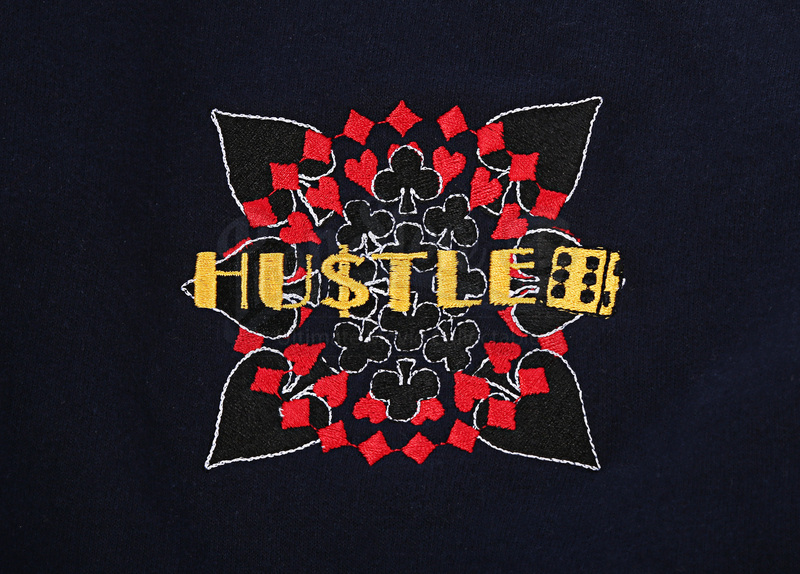 There is an elaborate Hustle logo, with card suites incorporated, embroidered over the left breast. All the items are in very good condition. Materials: Cotton, Polyester, Man-Made Woven Fibres.